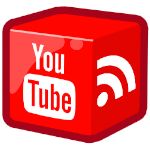 A loooong time ago I’ve blogged about how to access to You Tube with the Google Data APIs. After all that time there are several new ways how to recall files. Google offers You Tube a “simple” surface. If you prefer to do low-Level HTTP calls it is also possible. In line 3 I take the “v” parameter for the video. In line 5 I apply empty YouTubeRequestSettings – with this I’m able to call every official service but I can’t leave comments or upload videos. Afterwards the Video will be picked up with the request.Retrieve. Now I have several Meta information’s about the Video. During the development process I’ve recognized a strange problem – under the Request-Object I had no Retrieve or Get Method. I’m not sure what the problem is. At least the You Tube Request class is from the Google.YouTube namespace – maybe I got the wrong class. More Informations on the YouTube API.NET side.